The fact of the matter is social media sites are on the rise. The ability to reconnect with people from one’s past as well as meet new friends via these sites has become quite popular amongst young and old alike. The sites are most generally free of charge to sign up for making it very easy for anyone with an internet connection to partake in the fun. Along with the perceived benefits of branching out socially, these different sites offer a fantastic place to advertise and grow business. A core group of people to target is right there at one’s disposal and can be easily reached. The pool of people that utilize social sites is growing on a daily basis. 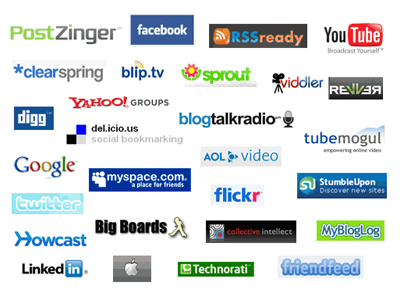 These sites can range from purely social and networking to media. All have their perceived benefits to one who is looking to advertise. Social media marketing can be done in a variety of ways. There is always the traditional way of buying ad space on any particular site, which could be the best route to go based on budget. The amount of consumers that will actually see the advertisement is quite high due to the elevated use and activity of these sites daily. This could be the best way to attract new customers and sales to a company. However, to get the best social media optimization is whenever a business already has a customer or potential client and is linked up with them through one or more sites. It is a fantastic way for companies to keep their patrons up-to-date on everyday business activity. For example, if an athletic store is having an excellent deal on running shoes, by simply sending out some sort of notice via a social site of the sale, they can reach their target masses immediately. This in essence can almost assure repeat business and keep customers knowledgeable. In addition, connected people will more than likely spread word of mouth through the site, therefore increasing business and new cliental. Social media sites can be viewed as a two way street as well. These sites give the customer base the ability to interact with the company and give valuable feedback. Traditional marketing more or less only allowed the business to blitz the public with advertising with little interaction on the customer’s behalf. Now, there can easily be communication between the two parties which can help in tailoring a business to better suit their target market. Social media sites are the wave of the future for connecting socially as well as connecting in the world of commerce. The immediate effect proper networking can have will surely help a business grow as oppose to hurt it. In addition, it seems to be much more economical compared to traditional forms of marketing due in part because it can cost little to no money as well as reach the appropriate target market immediately. This creates a situation of reducing waste which is very important while trying to create profits. Social media marketing is simply the best way to generate business.